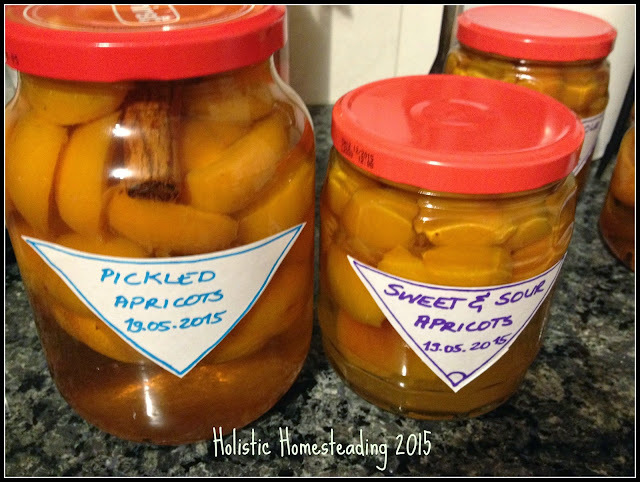 Today I would like to share two really great variations of apricot pickle with you. 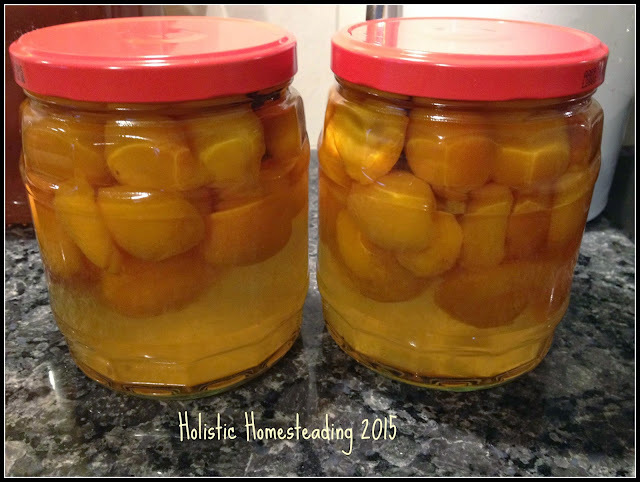 If you like a bit of tang and like pickled veggies, you may love the taste of pickled apricots! In a pot place the water, vinegar, sugar and herbs. 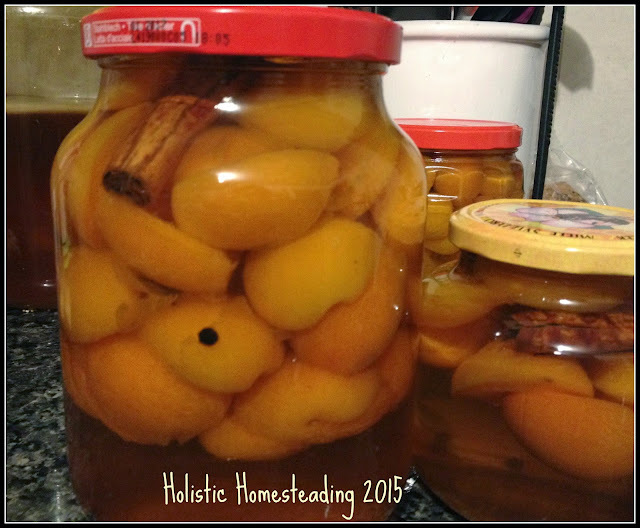 Bring to a rolling boil and the place the apricots inside for 2 minutes. 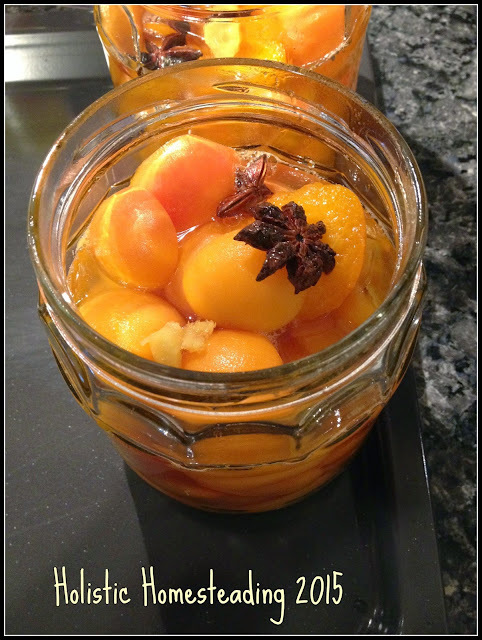 Remove the pot from the heat and place the apricots into your jar/s. Bring the liquid once more to a rolling boil and boil for another 2 minutes. Remove from the heat and pour over the fruit straight away, dividing the spices between the jars if you are using more than one.. Fill the jar with the liquid until just under the rim (if need be boil a little more vinegar to fill jar), seal and place the jar on it's head. After 5 - 10 minutes turn jar upright and allow to cool. Remove from the heat and pour over the fruit straight away, again dividing the spices between the jars if you are using more than one. Fill liquid to just under the rim of the jar (if need be boil a little more vinegar and water at a 2:1 ratio to fill jar), seal and place the jar on it's head. I would love to hear your feedback on how you liked these pickles. Do you make fruit pickles?